“What to look for: If the home that’s caught your eye was built before the ‘70s, you might have more than lingering shag carpet and wood paneling to worry about. Hazardous electrical wiring such as knob and tube wiring and aluminum branch circuit wiring are two of the biggest offenders that could put your home at risk of fire. Read this and other tips here. 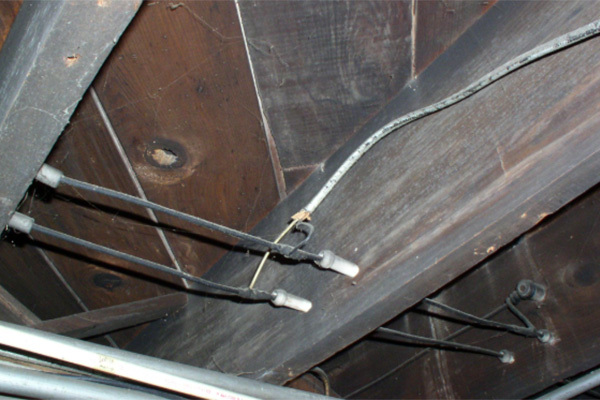 Even though knob and tube stopped being installed over 50 years ago, there are plenty of older homes that are still plagued by this outdated method of wiring. Much like asbestos is to insulation, knob and tube is very dangerous for home wiring due to the high risk of electrical fire. Some contractors may try and hide the fact it is installed by only replacing outlets and switches in homes. Not only is this dangerous, but could also end up costing you thousands to replace with proper wiring. At MJ Electric, our home rewiring is always up to code. Contact us at 612-598-0793 to schedule an appointment to have your home rewired. You can also visit our home rewiring page for more information.